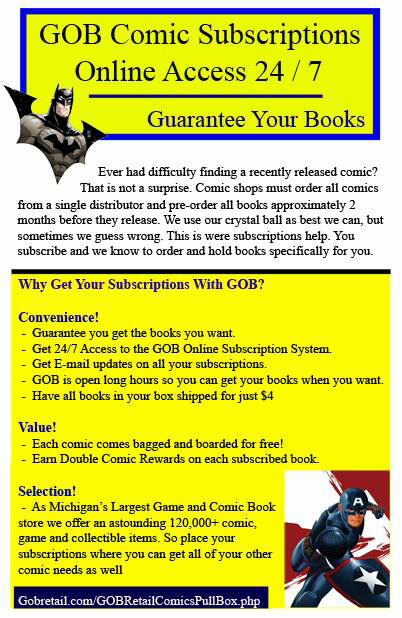 Having a pull box and Subscriptions with GOB is a FREE and Easy. Guarantee you get the titles you want and Earn DOUBLE Rewards on ALL Subscribed books. * Pull boxes that are past due will receive e-mail notifications and if they are still not picked up will be canceled and you will not be allowed to have subscriptions with GOB in the future.